The 2018 Toyota Prius is a fuel-efficient hybrid hatchback. The Prius has four available trims, which are conveniently named the One, Two, Three, and Four. However, there are additional variants of the Two, Three, and Four trims. The Two Eco has slightly better fuel economy and more convenience features than the regular Two trim. Touring versions of the Three and Four trims come with more premium, leatherette seats. Under the hood, the Prius trims are powered by the same 1.8-liter four-cylinder gas engine which combines with an electric motor. 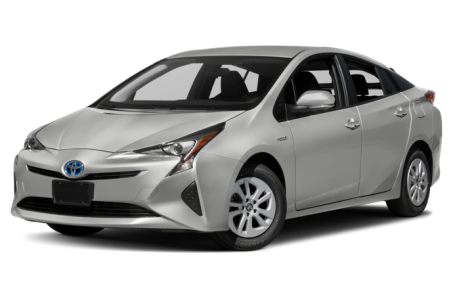 Fuel efficiency for most of the Prius trims is an EPA-estimated 54/50 mpg city/highway, while the Two Eco earns an improved 58/53 mpg rating.